Now you can have a shirt about food on a stick because this is a Corn Dog T-Shirt. The shirt is available in women’s sizes XSmall – XL and it is available in many colors too. 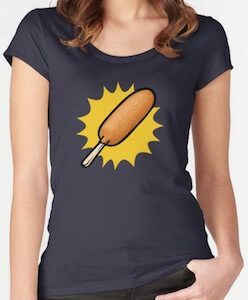 On the shirt you can see a corn dog and that hotdog in cornbread that is deep fried on a stick just looks super yummy and to show how amazing it looks by adding a cool yellow background which makes it look like the just dropped this yummy food on the shirt. I do like my corn dog once in a while but looking at this fun shirt does make me hungry. If you like to go for brunch and don’t mind with who then you just need to wear this you had me at brunch t-shirt. The shirt is a football style and comes in women’s sizes Small – 2XL and in the colors red, blue, and dark grey and you can get the same design on different style of shirts too. 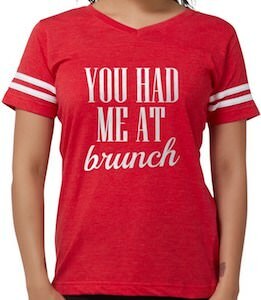 On the shirt it says in big letters “You Had Me At Brunch” and that means just wear it and wait until someone invites you for brunch and then you can have your favorite meal of the day even if it is with a total stranger. 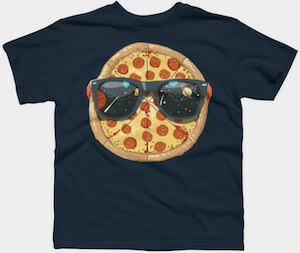 This t-shirt will show the world that you are a burger connoisseur. 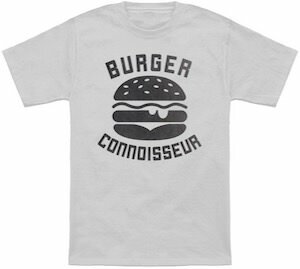 On the t-shirt, you can see a big burger and around the burger, it says “Burger Connoisseur” and all the print is in black and white and has a slightly worn look to it. 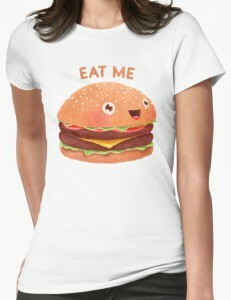 You can get this hamburger t-shirt in styles for both men and women and it is available in sizes Small – 6XL and is available in different light colors too. Time for a burger? don’t forget to wear this t-shirt and it’s OK if some condiments end up on the t-shirt because that proves that you know how to dress a burger. Here is a very clever saying that will incorporate your favorite food of bacon. 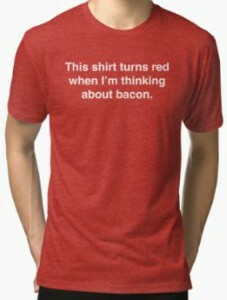 On the front of this red t-shirt, you simply see the block letter saying of “This T-Shirt Turns Red When I’m Thinking About Bacon.”. With a perfectly made t-shirt from a great tri-blend material giving you all of the comfort, you need while the durability will allow your shirt to last a long time. Available in a wide selection of men’s fitted sizes that will range from Small to 2XL and choose from 5 different fun and unique colors. You can also get this fun print on the front or back of the t-shirt. This t-shirt is different and maybe a bit scary. 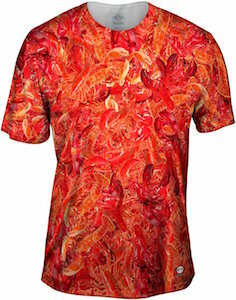 The men’s t-shirt is covered in lobsters and with covered, I mean the whole front and back have lobsters on them and they are even on the sleeves. On the small picture it may look like a red t-shirt but click on it to see it up close and you will notice that there are piles of lobsters on it just crawling around. You can get this lobster fest t-shirt in men’s sizes XSmall – 4XL and I am sure that you get noticed when you wear it. Do you have an awesome sauce you put on almost all your food? I do and for me it is mayonnaise but if you prefer hot sauce then this could be the t-shirt for you. 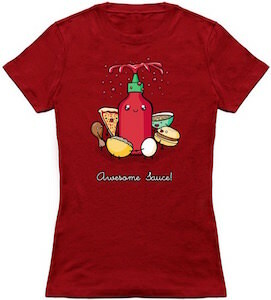 On this t-shirt you can see a red bottle of hot sauce with a green cap spraying it sauce from the top and around the bottle you can see all kind of foods dancing and looking happy and then below that image it says “Awesome Sauce!”. The bottle on the shirt looks a lot like Sriracha sauce and that could make this shirt even more perfect for you. Just select a color and a sizes between Small and 6XL and then just a men or women’s style and you hot sauce t-shirt will be part of you wardrobe in no time at all. This graphic can be featured on the back or the front of the t-shirt. It features a cute little hamburger with his sesame seed bun, his two patties, cheese, lettuce and tomato. Yummy. He has a little smile on his face and is saying “Eat Me”. This t-shirt is a women’s fit that ranges in sizes Small to 2XL and is made from 100% cotton that has been pre-shrunk to put a smile on your face. You can also choose from over 15 colors to make this t-shirt yours! Get it today! Right Away! Do you like peanuts? Or maybe you are look for a prank for a person with a peanut allergy. 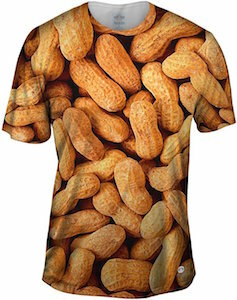 This t-shirt is what you need it is covered front and back with an image of many peanuts in the shell. Just the thought of it will make people smile and it is just a real funny t-shirt almost like you are wearing a bag of peanuts. 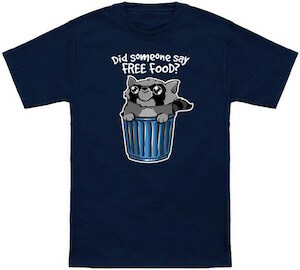 You can get this peanut t-shirt in men’s sizes XSmall – 4XL and it is made from 95% polyester and 5% spandex. Time for a snack? first wear your peanut t-shirt and have a laugh.